A friend from the South Loop Dog PAC forwarded these pictures of signs that went up in the small green area near Polk & Dearborn last week. (They are now gone). 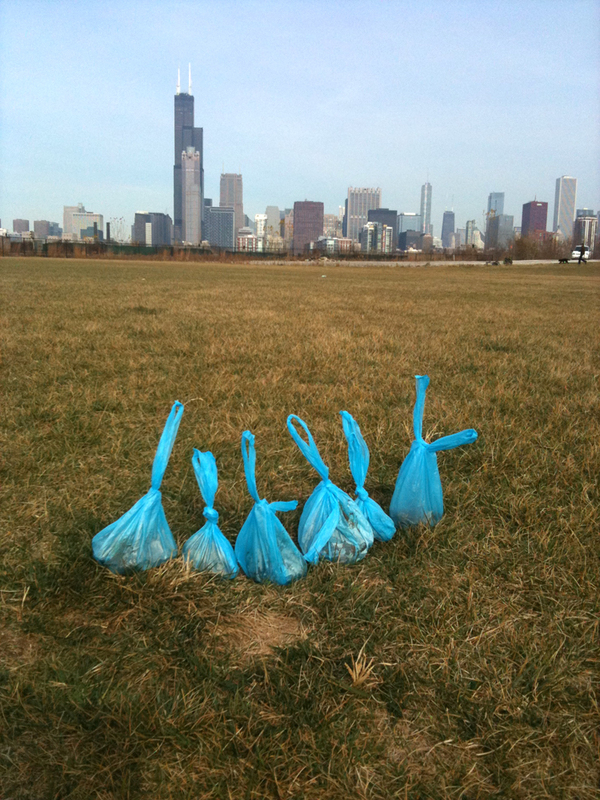 I like ’em – nice approach by someone who’s willing to take some action. 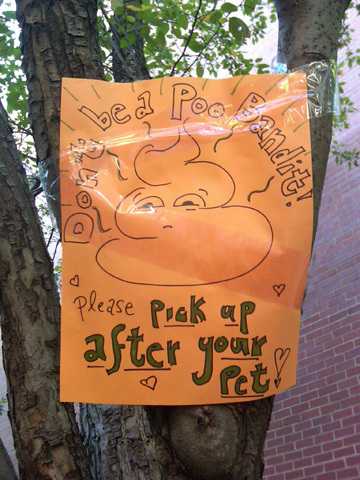 This particular patch has been a focal point of ‘poo conflict‘ for a number of years – it seems to serve as the ‘green patch’ for dog owners in the Printer’s Row area who amble down Dearborn, leave their present, and stroll back home to their loft like nobody cares. Maybe we could make smaller weatherproof versions of signs like this to post (perhaps a little more discretely) in the problem areas in the neighborhood? 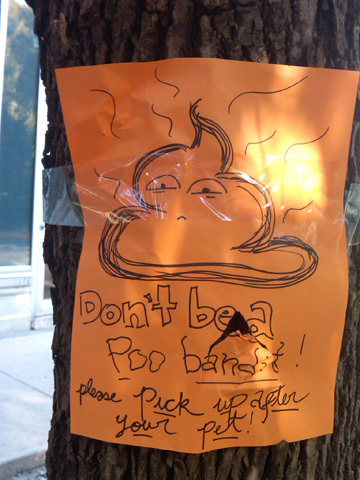 « more poo on State St.